16 Les Tindall photos. 10 were taken in and around Buxton in 1973, and six on the Woodhead route in 1977. I have also included two photos taken at Buxton in 2011. 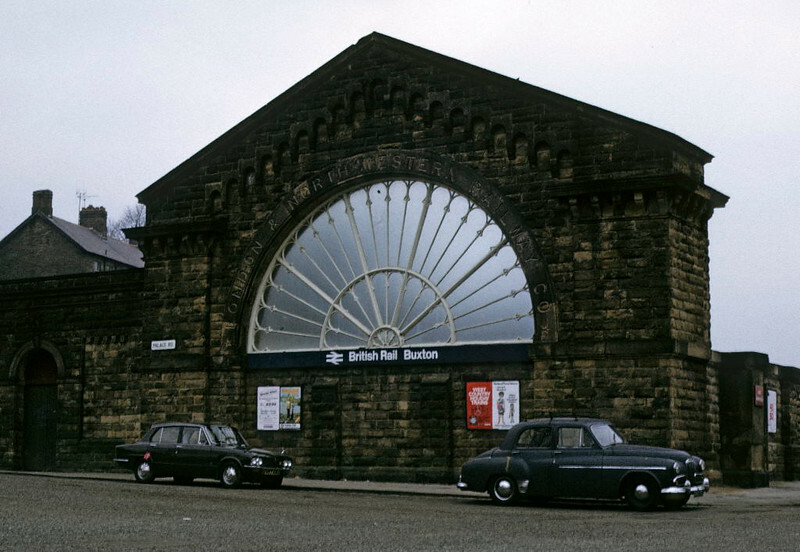 Buxton station, Sat 24 March 1973 1. The end wall of the former LNWR station, still in use in 2015. The company's name is inscribed round the window. The Midland Railway had a station off camera at right, which had an identical fan-shaped window. It closed in 1967 and was demolished. Photo by Les Tindall.